Date of discovery: I found in 2012, but want to go over it again. 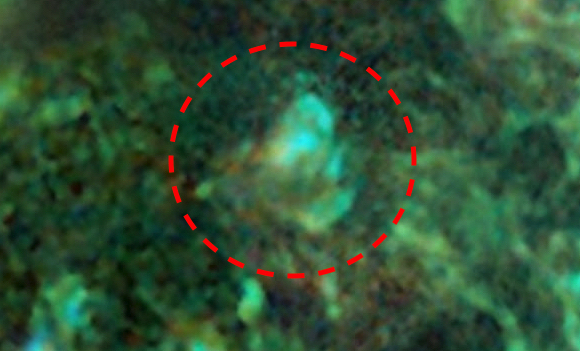 I was looking over Hubble Telescope photographs, when I ran across this round, snail shaped structure that sits on a rectangle shaped base. I had seen it before, and thought it would be fun to go over it again. 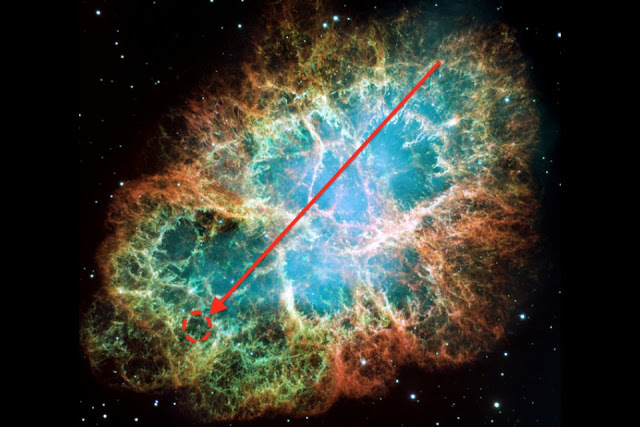 The structure appears to be a space station that is sitting within the Crab Nebula, however there is by all accounts more. 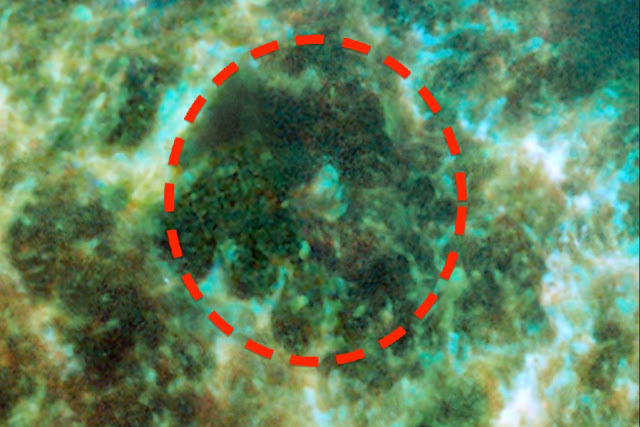 I looked over the Nebula deliberately and it appears that it is not left overs of a supernova, but may actually be a solid material...like a giant sponge-like structure. 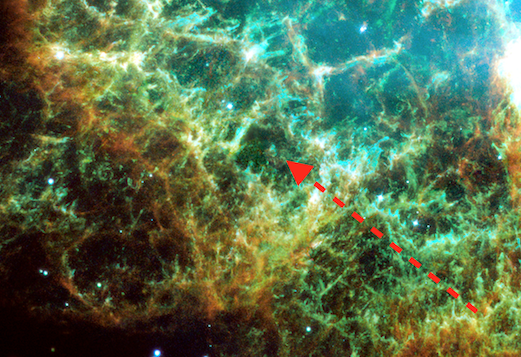 The idea of a solid nebula may be a new one, but it makes sense. The root like appendages reach out and can be continually expanded upon over the ages as the population grows.